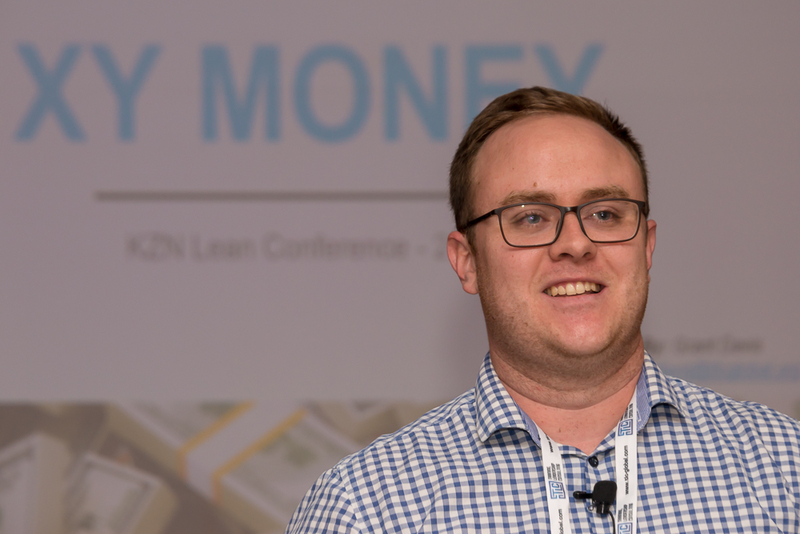 The 2018 KZN Lean Conference took place from 9th to 11th October and was a jam-packed 2½ days of learning, sharing and networking – and having fun! In the first half-day workshop, our keynote speaker, Professor John Bicheno, introduced delegates to the Lean concepts of Muda, Muri, and Mura, using a dice-based simulation to demonstrate the implications of variability in demand and capacity at differing levels of utilisation. Bicheno, the author of several best-selling books on Lean, is the Professor of Lean Enterprise at the University of Buckingham in the UK. 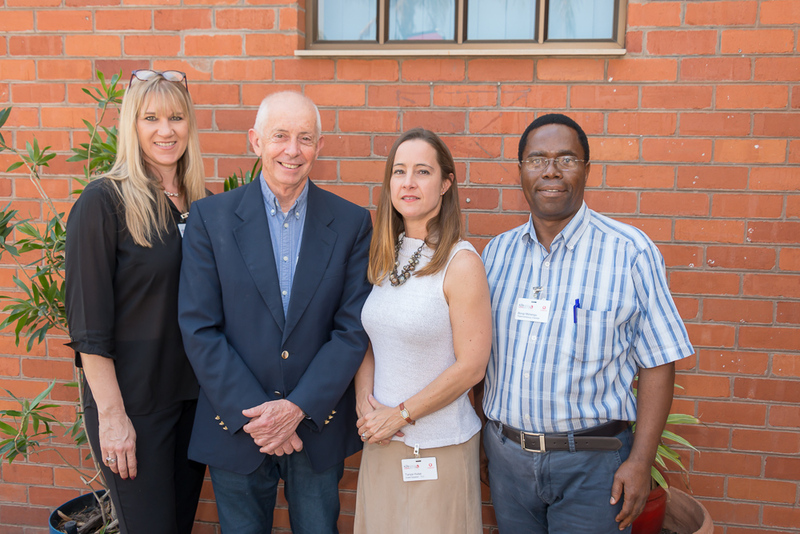 An engineer by training, John was head of Industrial Engineering at the University of Witwatersrand in the 1980’s when he was introduced to the concepts of ‘Just-in-time’ (JIT) by Toyota. He was able to share practical insights and correlate this with academic rigour to help delegates grasp the key concepts. The first day of the main conference, officially opened by Melanie Veness the CEO of the Pietermaritzburg Chamber of Business (PCB), kicked off with an address from Ina Cronje the Chairperson of TIKZN. This was followed by a thought-provoking presentation from Marek Hanusch of the World Bank, sharing insights from their extensive research on imperatives for South Africa to overcome the interdependent challenges of low growth and high inequality. 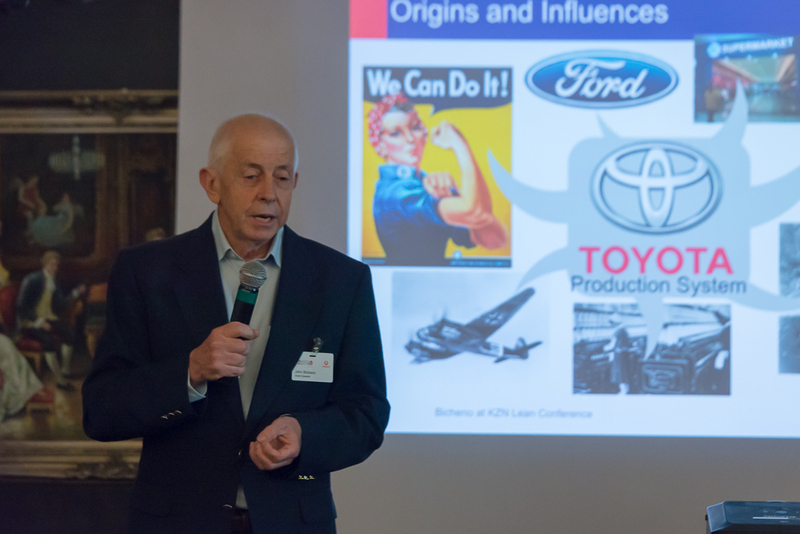 John Bicheno then shared his extensive knowledge on Training Within Industry (TWI), the foundation methodology used by Toyota since 1950 to ensure that people rapidly gain skills needed for sustainable superior performance in the workplace. This was followed by a fascinating look within the walls of one of SA’s top manufacturing entities, BMW South Africa, as shared by Peter Temba, the seasoned Leader of BMW’s Lean Manufacturing Centre. BMW’s mature and effective operational excellence regime is an inspiration for all companies striving to introduce and sustain a continuous improvement culture. This was followed by more case studies on excellence in practice in South African companies, from Don Archery of Durban-based Conlog and Thergen Naidoo from Pietermaritzburg-based Pfisterer. Between these slots, Kiran Desai of Rieger Industrial Consultants (RIC) shared a key insight – that attempts to ‘bolt on’ safety in operations often results in Waste and reduced capacity, whereas designing an operation with safety built in will achieve far more effective outcomes for both productivity and safe operations. 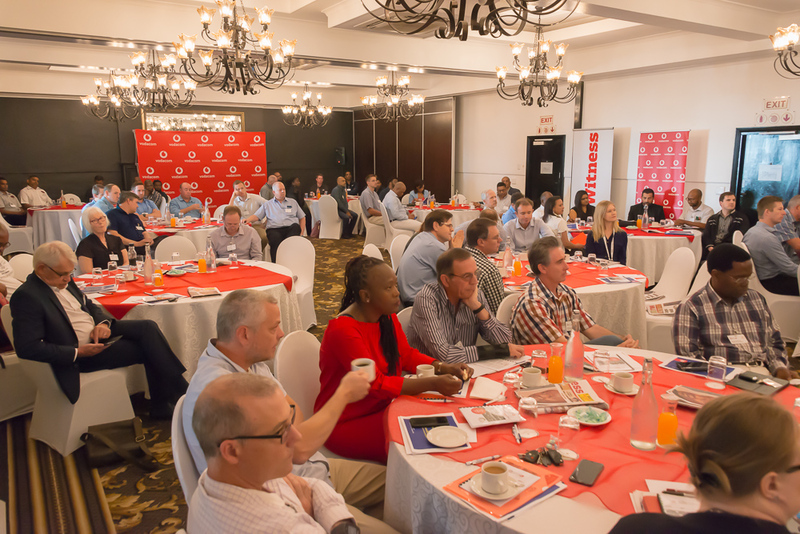 The afternoon from Day 1 was concluded with Eleni Kwinana, Vodacom’s Executive Head in KZN, who exposed delegates to the implications of the fourth industrial revolution and technology in general on our businesses in future. The final presentation of the day was a highly interactive session with TLC’s Business Improvement Manager Grant Davis, who ensured that delegates experienced the potential negative consequences of unhealthy competition within teams in the workplace. After much good-natured banter between the groups, and with the day’s business complete, delegates took a breather before regrouping for the evening’s Executive Dinner. The highlights of this were a presentation by sponsors Spring Lights Gas, followed by a highly informative, entertaining and humorous presentation by renowned political analyst Daniel Silke, who shared his views on the ten most important issues facing the world right now. Day 2 kicked off with an introduction from Eleni, whereafter John Bicheno returned to the speakers’ podium, this time switching gears to share how Lean is highly applicable to the Service industry and sharing key insights on similarities and differences to the application of Lean within Manufacturing. This was followed by a measured presentation from Greg Whitbread of RIC, sharing how a production process was debottlenecked for significant improvement in capacity and quality through application of simple Visual Management techniques to aid more effective production scheduling. Then we were awed by two more case study stories – firstly local company PDC, where MD Mike Wolhuter shared how they have taken a people and technology-centred approach to delivering leading-edge performance, followed by a shared presentation on Voith Turbo’s application of Visual Management, by Alford Msutu of Voith and Jacques Snyders of the South African Quality Institute (SAQI). After the deep focus on application of Lean thinking and tools in the workplace, it was time to shift the emphasis to people, as the key ingredient in any Lean success. 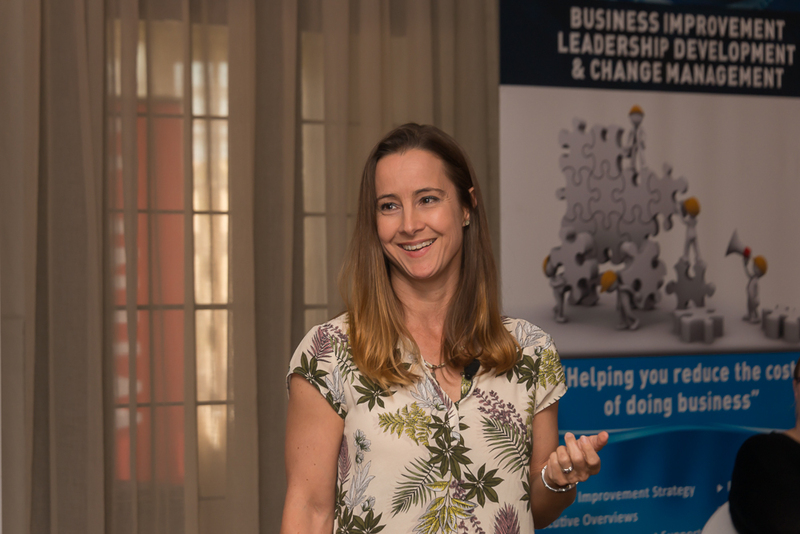 I had the privilege to share my views on the importance of building capability in your HR department if you wish to build capability in your people, as well as some of the reasons why training fails to deliver results even when the training itself is difficult, and how to align training for Lean to SETA and B-BBEE requirements. Finally, the entire conference was perfectly rounded out by James Mpele of Tsebo Training, who highlighted the importance of shifting perceptions in creating not just a diverse, but an inclusive work environment where everyone truly does have equal opportunity to shine. The day ended with Melanie of PCB thanking everyone for their support and confirming that we will be holding another great conference next year! Thanks to those who joined us for an inspiring few days together.